I was having a heated discussion about the literary merits of Harry Potter recently. I can't stop myself being ardently defensive of anyone who criticizes the series because Harry Potter defined a period of my life. I loved those characters as though they were real people, and the day I read the last book was a very sad one for me. So I thought I'd share my Harry Potter story with you, in a rather nerdy, self-indulgent post. One Christmas, a ten year old me unwrapped a present from her Uncle. It was a book with a bespectacled wizard on the front. Now, the ten year old me was already an avid reader, and had strong ideas about what she liked (Enid Blyton scored pretty highly). My young cynical self read the blurb and judged the cover harshly, believing it didn't look like anything special. However, school holidays were always devoted to reading book after book, and I couldn't leave a new copy unopened for long. I recall the exact moment that I was completely won over by the story. It was New Year's Eve. My parents were preparing a goose for our guests, and I was sitting on the sofa utterly engrossed by a sport played on broomsticks: Quidditch. It's not very often that a book works its magic in that way, rooting itself in your memory. I distinctly remember trying to explain this amazing idea for a sport to my Mum, brimming with excitement at this wonderful new book. 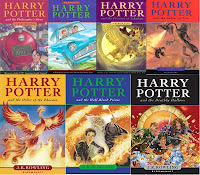 But Harry Potter soon became far more than just a book series, coming to define a period of my childhood with my younger brother. He was not a reader until Harry Potter, but something about the stories captured his imagination. We owned the first two books on tape, and would listen to them over and over on our personal stereos during the summer holidays. Each time a new book was released, we were beside ourselves with excitement. We'd speculate for hours on end about whether Snape was really good, or whether Harry was a horcrux. We were obsessed. We'd run ahead of our parents on walks, pretending to be characters from the series, waving twigs as though they were wands. 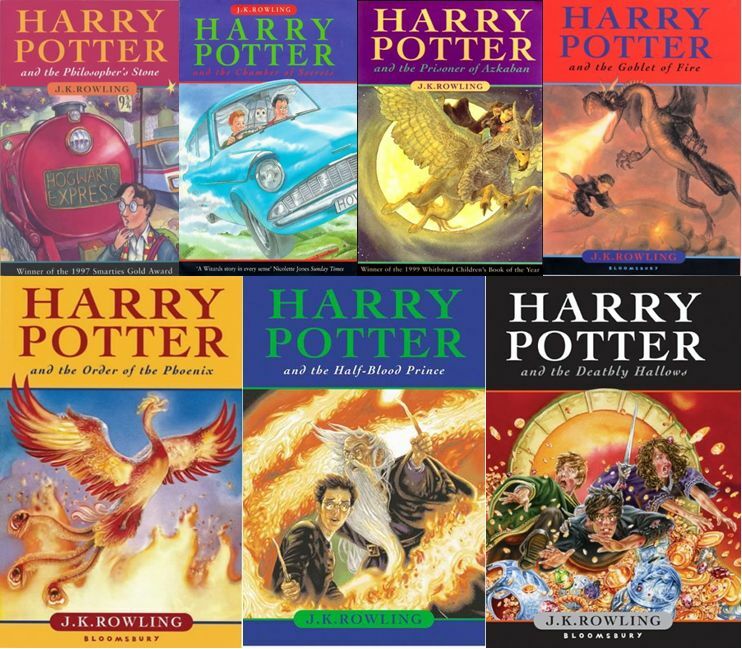 At secondary school, one of the librarians was a huge fan (owning the books in a variety of different languages), and he would quiz us on our obscure knowledge of the magical world. Our Dad was the ICT teacher at school, and learning how to add hyperlinks to powerpoints led us to create complicated multiple choice quizzes that we would test our friends on. We even made a Department of Mysteries board game, with coloured paper and card, and a huge set of Harry Potter trivia questions of different difficulties. As Harry, Hermione, and Ron grew up, we did too, and by the time the last book was released in 2007, I was 18 and Nick was 16. By that point we had to order individual copies as neither of us were willing to wait for the other to finish. I sat down in various places around the house, enthralled by the final installment and aware that this heralded the end of an era. I was about to leave home and my brother, to go to University. This is why I can't be objective about the books. This is why I will defend them until the end. They were a part of my life. What really delights me now, is hearing about children who are just discovering the stories. I envy them the journey these books will take them on.